I took a drive down to Galveston Island without having a plan on where to stay for the night. I stopped in at two different RV Parks and both were completely booked up. I drove further down to West Beach and then came across Galveston State Park . I asked if they had any available spots and was told they had one tent camp site left so I took it. It was a Water Only/No Electricity Site and it wasn’t on the beach side as I had hoped, it was on the bay side across the highway from the main Park Office. For grins I decided to drive through the beach side camp sites and take a look in case I wanted to book there again later. I wasn’t too impressed with the camp sites available but it would be a cool spot if you’re really there to enjoy the beach. I also took a look at the Bathhouses on the beach side camping sites and they only had restrooms, no showers. Ugh. I know After a long day on the beach with the sand and salt water I myself would be dying for a shower right after. Well that’s not going to happen on the beach side camp sites. The map below denotes showers but maybe I somehow missed them or the map denotes future plans for the bathhouses. Who knows. I headed across the highway to my campsite for the night. I wasn’t expecting much nor did it really matter since I was only staying for one night. Pulled into the circular campsite area which contained 10 camp sites and the main bathhouse in the center. Each campsite had a covered picnic table with a small fire pit and a water spigot. The sites were a little close to each other for my liking, maybe I’m just used to bigger sites and more trees around to distance yourself from the neighbors. This being Galveston Island there were no trees or no natural buffer between you and the next group. 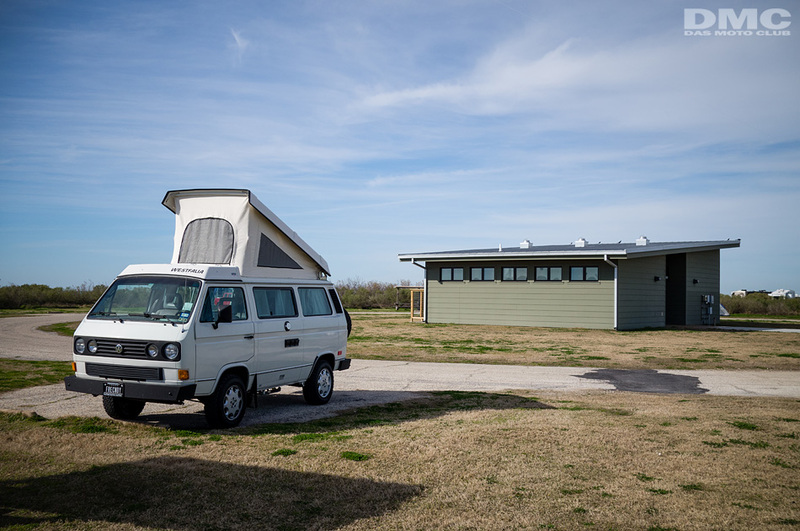 I haven’t camped a ton here in Texas but what I can say is that the bathhouse located in the tent camping site is the BEST I’ve seen in any park I’ve stayed at. Very large and very new facilities so everything worked and the showers were nice and hot. All sections of the campgrounds were occupied but the bathhouse always seemed empty which was very nice. There was indeed plenty of counter space for those campers that like to spread out a bit while getting ready for bed or washing up in the morning. Baby changing stations in both the Men’s and the Women’s restroom. As I mentioned earlier, this is by far the nicest and cleanest bathhouse I’ve been in at any camp site or rv park. You can tell this was a very new addition to the park based onwhat the bathhouses on the beach side camp sites looked like. I really hope they upgrade those beach side bathhouses soon as well. It’d make for a great upgrade! One thing I prefer is a shower stall with a small area where you can place your clothes, towel and other stuff at while you shower. These stalls had that. lock the door behind you and place all of you belongings in the area next to the shower stall. Perfect. 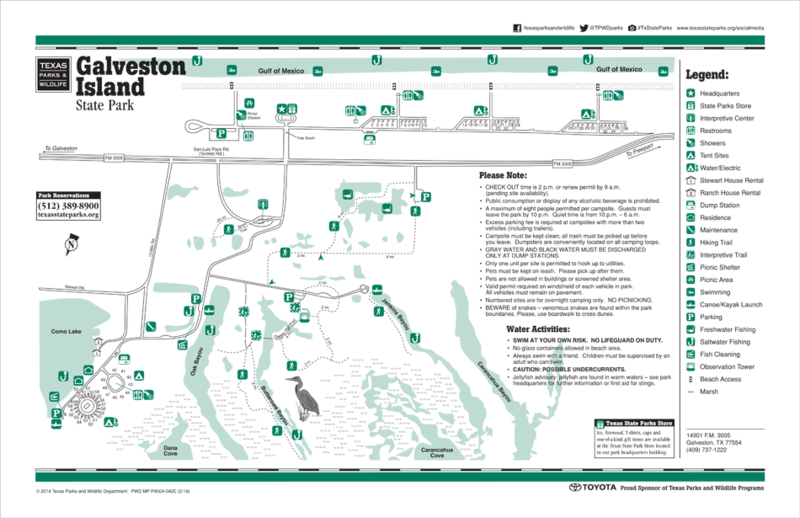 I stayed in campsite #41 which is a tent site located on the lower left portion of this map. 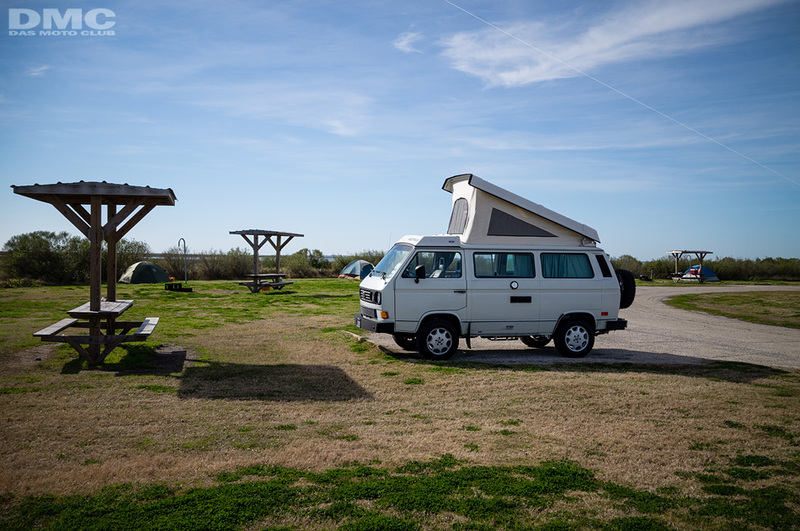 The overall camping experience here wasn’t the nicest but it was nice being so close to the beach and to the city of Galveston itself. A few of the other campers in our area had kayaks and such so they spent the day out in the bay fishing. I bet that was a lot of fun. Would I stay here again? Yes. Would I go out of my way to stay her again? Ehhh Probably not. I do know that if I did stay here again I would stay in the tent camp site area simply for the nice hot showers. Libby Visits the Gulf Coast Ryan is First To Jump In! Yes sir! When I browse the net for cool camp sites and such there are never any real photos of the camp grounds or amenities. It’d be nice to know what places have and what they don’t have before choosing to spend a weekend there so I’ve made it my goal to try and document the places I visit. Not just for others out there searching for sites online but for my own use too. These reviews help me to remember which ones to go back to and which ones to skip. Very well put together, photos of the amenities are helpful, though I would never take off my sandals going into the shower. I completely agree. I leave my sandals on at all times. 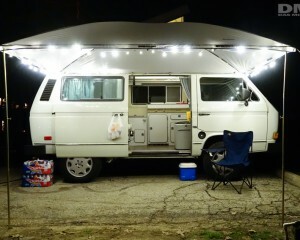 That’s the ONE thing I tell everyone to do when going camping. Hehe. Beautiful area and probably the nicest bath house I have ever seen in all of my years of camping. Really surprised there aren’t similar ones closer to the beach area. 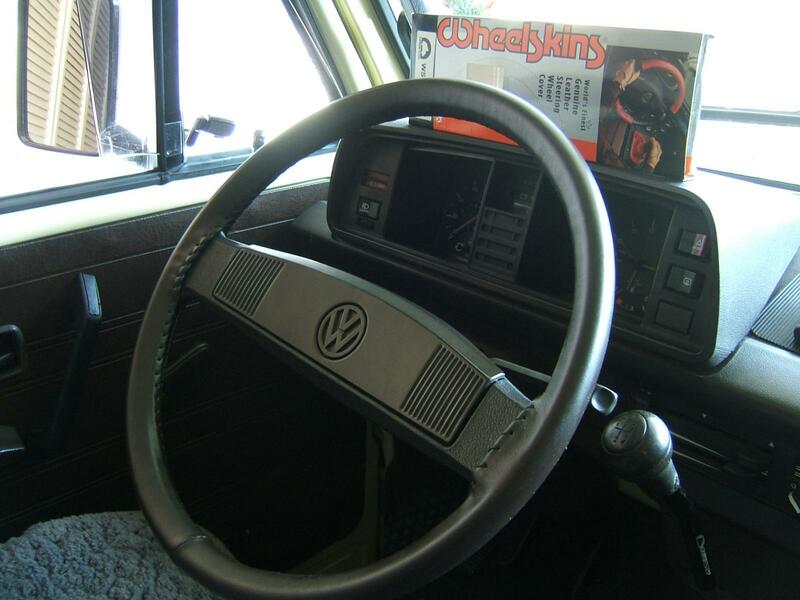 Very detailed review as a fellow camper van/ westy owner always on the look out for great sites. Although this didn’t seem to be the best place to stay, a nice bath house is hard to come by I have found on the coast. The cost of different sites would be helpful, but overall, very informative. 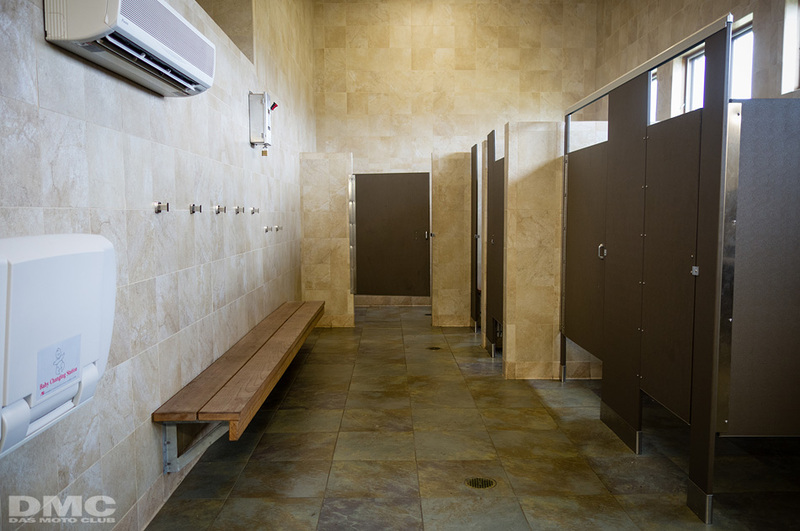 Man I use to go to galviston state park all the time I don’t remember the bathrooms being that nice! Huntsville state park is nice a swell.. This new restroom at the bay side is the first of many. It is a huge upgrade compared to the old ones. For beginners, it’s insulated and the old ones were not. 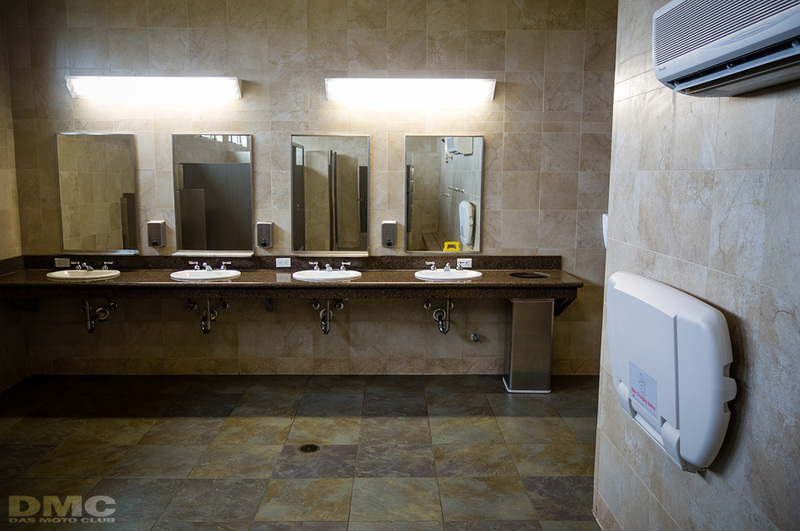 The restroom is Energy Efficient and can maintain indoor air quality. The frame is made with ICF (Insulated Concrete Form) and has better resistance to withstand forces of nature. The previous restrooms that were at the beach side were not insulated and also got washed away into the Gulf of Mexico during Hurricane Ike. Now the new ones are coming up in their place. 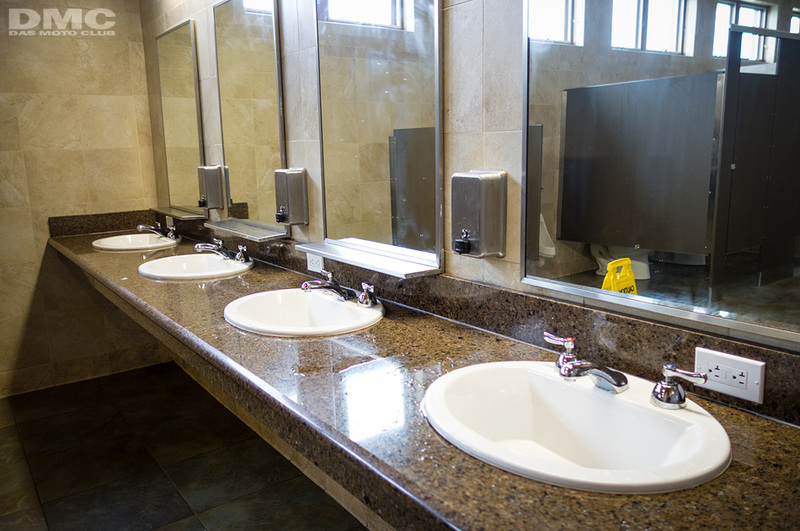 Be on the lookout for new restrooms on the beach side along with many new camp sites in the near future. These restrooms are popping up all over Texas State Parks. There are currently two at Bastrop State Park that are near completion. 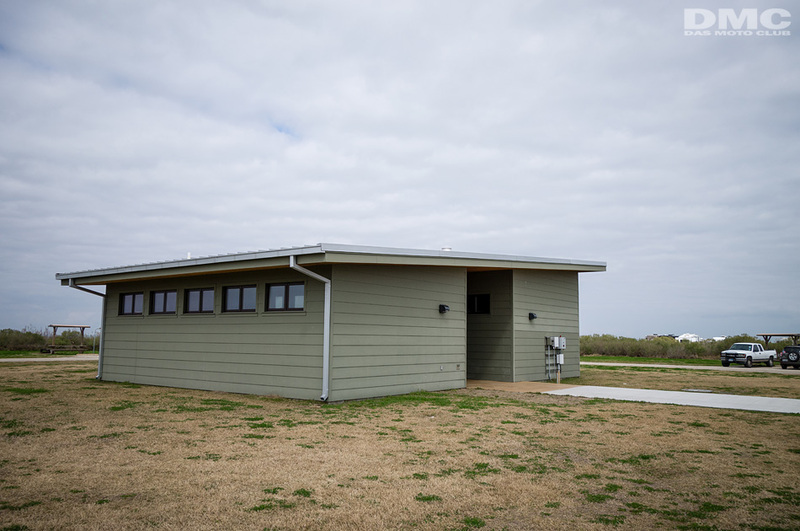 Abel thanks for the photos of the new restrooms at Galveston Island State Park. I work there so I wanted to add something if possible. 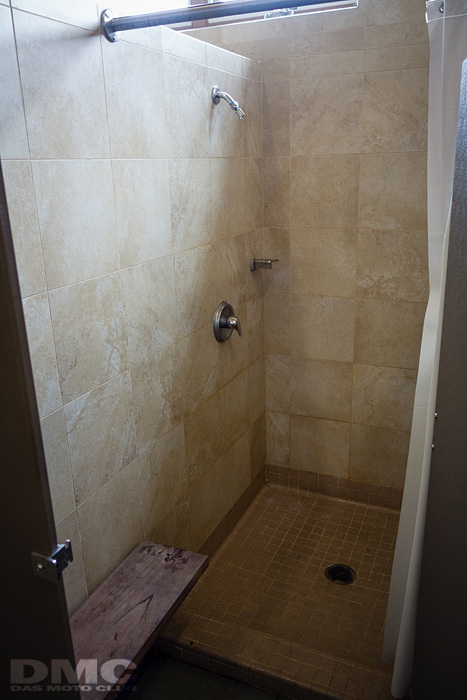 First, there are hot water showers in the beach side loops. They are located at the rear of the restroom buildings which is why you didn’t see them I guess. Maybe we need to do better with our signage. Also, another new restroom is being built beach side just like the ones on the bay. It should open in mid-August. Also ultimately, there will be five of those bad boys on the beach side. Thanks for stopping in at our park and happy travels. 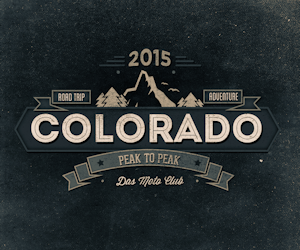 Colorado 2015 Trip info here. 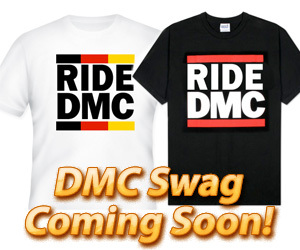 Every time you make an Amazon order by first clicking on the logo below, DMC gets a small kickback that's put towards the Colorado 2015 Trip. The kickbacks raised will be applied towards fuel costs and camp fees for the group. We appreciate your support. No problem... lemme see what photos i have handy..